We do routine cleaning and non-recurring cleaning of administrative buildings, department houses, warehouses and other large objects. In addition to regular daily cleaning is standard on the customer established a daily cleaning service, which according to a set timetable repeatedly cleans most frequented areas (part of the input, meeting room, social background) and performed additional work according to the instructions of the administration building. 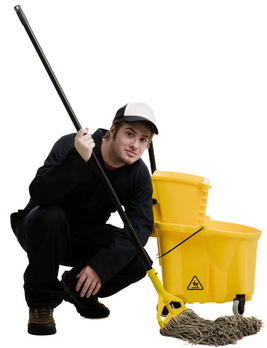 Cleaning work is performed using the latest cleaning techniques and cleaning equipment and use the highest quality. We ensure a supply of the toiletries. For each contract is determined by the official responsible, who is responsible for the implementation of cleaning services, controls, and provides employee compensation in the case of the disease. For all of our employees is carried out training techniques, training in the use of cleaning chemicals and training for safety and health.